Bengaluru FC cemented their position at the top of the ISL table with a comprehensive 2-0 victory over Jamshedpur FC in a 17th round of the league encounter in Bhubaneshwar. 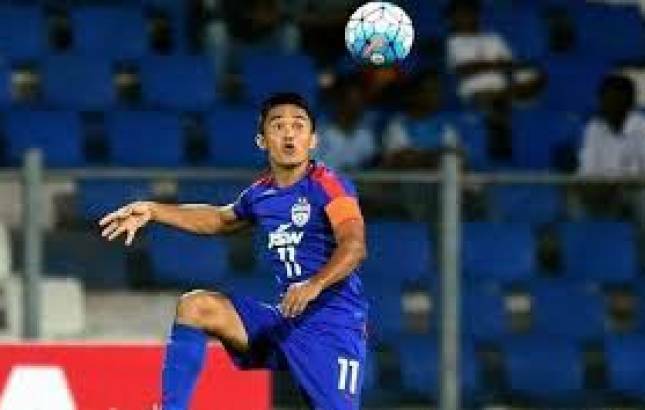 Venezuelan Miku (23rd min) converted from the spot while India captain Sunil Chhetri (34th minute) nodded home to ensure full points for the 'Blues'. Bengaluru now have 37 points from 17 games while Jamshedpur are fourth with 26 points from equal number of outings. The first chance of the game went to Bengaluru after Toni Dovale put Miku through on the right. Miku squared the ball into the box but Chhetri couldn't get a touch on the ball. Udanta Singh then provided a beautiful cross for Miku to attack with the goalkeeper not in the best of positions. The Venezuelan though headed off target much to Jamshedpur's relief.